A few VHS covers for DUEL OF CHAMPIONS (1961). 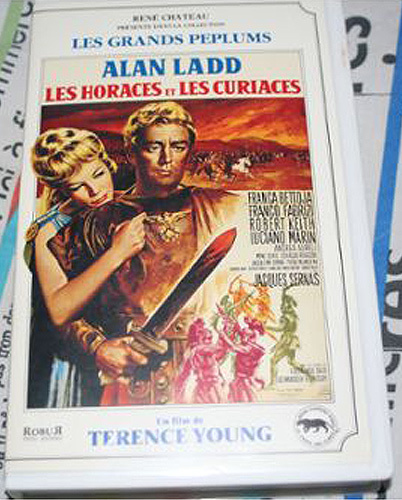 Except for the French one, they don't feature Alan Ladd very much. 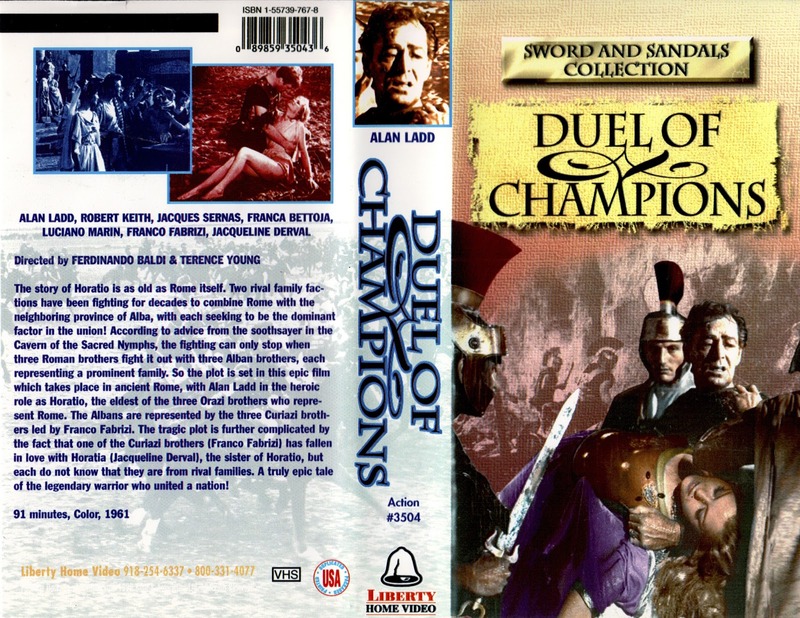 Two VHS covers for releases in the US. The top cover from FORCE VIDEO is funny because the artwork features a Gordon Scott film and it doesn't look anything like the actual film. At least the photos on the back cover are from the movie. 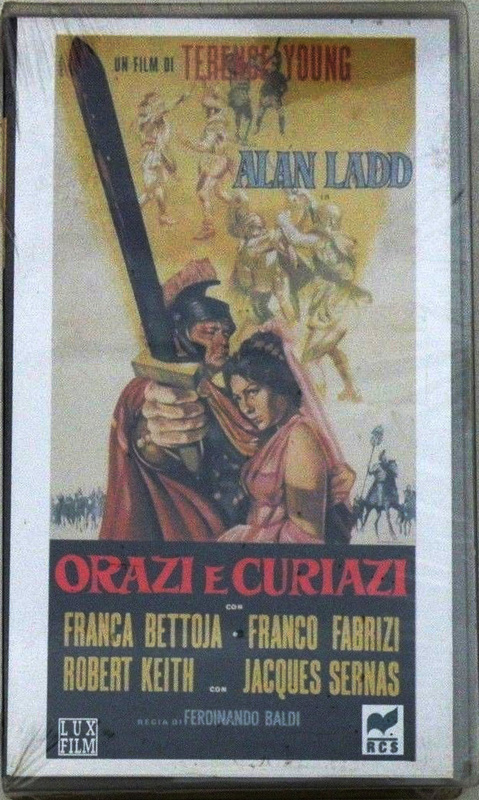 Below, the VHS cover is pretty much a standard one.